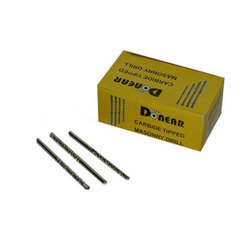 Manufacturer of a wide range of products which include sds drill bits, drill bits and carbide tipped masonry drill. Available with us in various technical specifications, the SDS Drill Bits are used in various drilling applications. Their rich attributes such as sturdy construction, thermal stability, durability and high drilling efficiency, make these SDS drill bits highly demanded. By using modern machinery, our engineers precisely engineer these SDS drills bits. Application Make hole in cement wall, rock, marble and so on. With the aid of our modern infrastructure, we render the premium grade of Drill Bits. 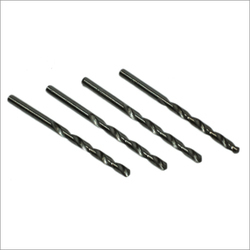 Used for different drilling applications, the drill bits are available with us in various technical specifications. Known for its excellent drilling efficiency, these drill bits are precisely engineered by using modern and technology in accordance to the international standards. 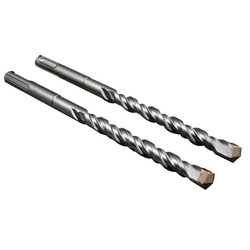 We are leading manufacturer and supplier of Carbide Tipped Masonry Drill to our customers.